Day 1. 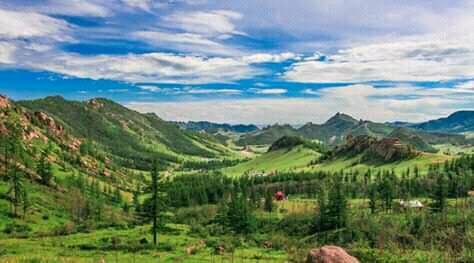 UB city - Gorkhi-Terelj national Park: 50-70km west of UB city, Terelj River, special shaped rock formations, mountains with forest, temples make Gorkhi Terelj National Park. 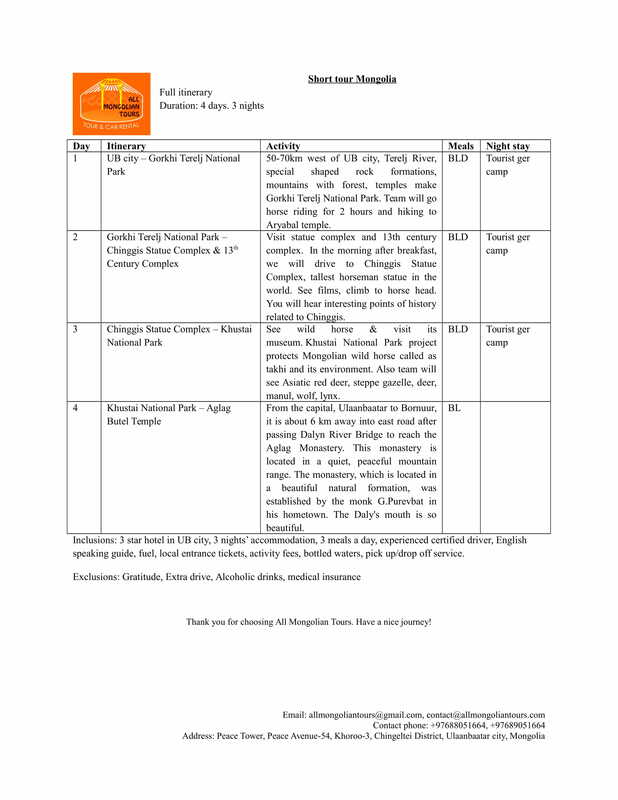 Team will go horse riding for 2 hours and hiking to Aryabal temple. Day 2. 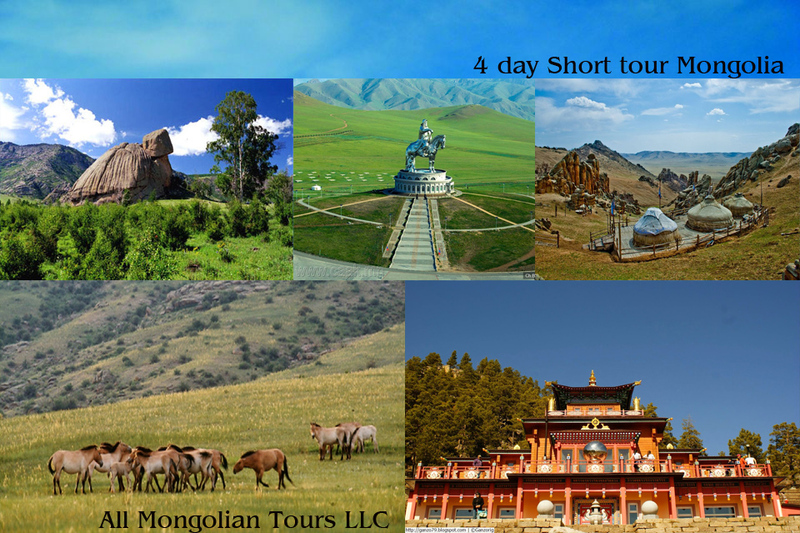 Gorkhi Terelj National Park - Chinggis Statue Complex & 13th Century Complex: Visit statue complex and 13th century complex. In the morning after breakfast, we will drive to Chinggis Statue Complex, tallest horseman statue in the world. See films, climb to horse head. You will hear interesting points of history related to Chinggis. Day 3. Chinggis Statue Complex - Khustai National Park: See wild horse & visit its museum. Khustai National Park project protects Mongolian wild horse called as takhi and its environment. Also team will see Asiatic red deer, steppe gazelle, deer, manul, wolf, lynx. Day 4. Khustai National Park - Aglag Buteel Monastery: From the capital, Ulaanbaatar to Bornuur, it is about 6 km away into east road after passing Dalyn River Bridge to reach the Aglag Monastery. This monastery is located in a quiet, peaceful mountain range. The monastery, which is located in a beautiful natural formation, was established by the monk G.Purevbat in his hometown. The Daly's mouth is so beautiful.